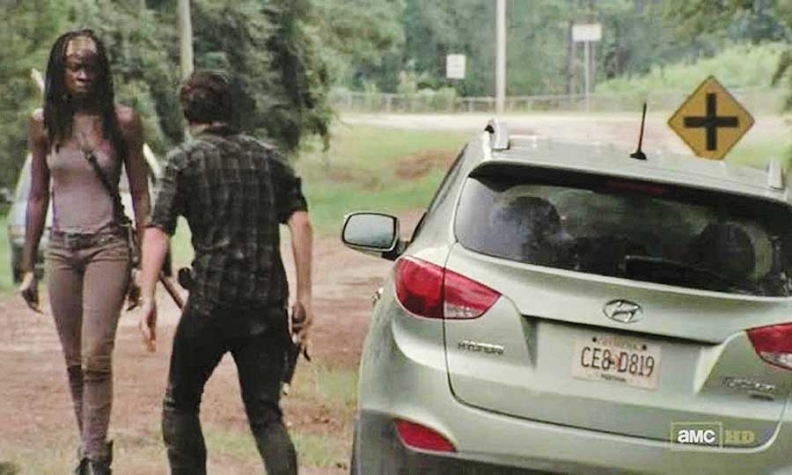 Product placement in AMC's “The Walking Dead” shows how a TV campaign can effectively jump off the screen, says Hyundai's Steve Shannon. LOS ANGELES -- TV promotions still reach the biggest audiences, but auto marketers say the greatest untapped potential lies with consumers poised to use other devices to respond quickly to what they see on screen. Marketing executives see a gold mine in viewers who turn to their laptops, tablets or mobile phones to search for something cool they saw on TV or post comments on social media sites. By triggering activity on so-called second-screen devices and then serving up ads or other interactions with consumers on those devices, marketers can quickly broaden the impact of a TV promotion. "Big brands still get built on TV," Steve Shannon, vice president of marketing for Hyundai Motor America, said in a presentation at last week's Automotive News Marketing Seminar in Los Angeles. "I think what we're all trying to do is get TV that's more engaging, where you have a second-screen experience." Shannon said Hyundai's product-placement deal with "The Walking Dead," AMC's hit zombie-apocalypse drama, demonstrated how a TV campaign can effectively jump off the screen. The massive audience -- the show's third season finale drew 12.4 million viewers, including 8.1 million 18- to 49-year-olds, the demographic most coveted by advertisers -- gave Hyundai a wide platform for spinoff promotions and drove traffic to Hyundai's social networks, including a spike in "likes" on Facebook, Shannon said. In one promotion, Hyundai built a "zombie apocalypse-ready" Elantra Coupe with the help of Robert Kirkman, the author whose comic book series inspired the AMC show. 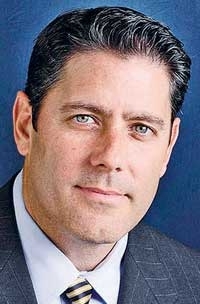 The potential for online interactions is huge, said David Mondragon, general marketing manager for Ford and Lincoln. Speaking at the Los Angeles seminar, Mondragon cited a 2012 Morgan Stanley report showing that 91 percent of Americans have a mobile device within arm's reach at all times and a 2013 survey by iAcquire and SurveyMonkey that found that 40 percent of all mobile Internet searches happen while the user is watching TV. Mondragon said TV is still a logical starting point for auto ads, but TV advertising budgets could be scaled back as marketers spread their campaigns across multiple screens. "If you're launching a new product, you need to hit that medium because you're going to get scale and you're going to get it fast," Mondragon said. "At the same time, you need the legs and the longevity of a digital campaign when people want to go deeper into the information channel and find out more about the vehicle." Olivier Francois, chief marketing officer of Chrysler-Fiat, said the challenge for marketers is to come up with consistent messages that can move seamlessly from TV to other screens. "I think what is really key today is to cope with this multiscreen [trend], but in a consistent way, and so far I'm not sure we all have been totally consistent," Francois said. "We have content for mobile, other content for laptops, and other content for network TV. What we need now is to link those things and make it one experience."